Sight words are the commonly utilized words that small children learn to memorize. As these words are used in high frequency, readers are taught how to recognize them using their sense of sight. Learning how to read sight words is among the important components of reading development. a, an, at, are, as, at, and, all, about, after, be by, but, been, can, could, called, do, did, down, each, from, first, find, for, had, have, her, he, his, him, how, I, if, is, it, its, in, into, just, know, like, little, long, made, make, many, more, most, my, may, no, not, now, or, of, on, only, over, other, one, out, people, see, said, some, she, so, the, this, they, them, to, there, then, these, time, two, than, that, their, up, use, very, was, were, we, which, what, with, which, will, would, where, words, water, way, who, when, you and your. These words cannot be read using the usual phonics patterns, there is a need for them to be memorized and identified by sight. Here are some high frequency fun sight word game activities for kindergarten students. Turn a common block construction game into a new way for readers to master sight words. You can begin by writing high frequency words on all the blocks. The normal rules for block building games, where a participant extracts a block from the already existing tower and moves it to the top, apply here. Have the child who extracts a block well apply the particular sight word in a sentence before the next student tries. Alternatively, you can have the participants read and spell the sight words aloud while moving the blocks. Children enjoy this game. 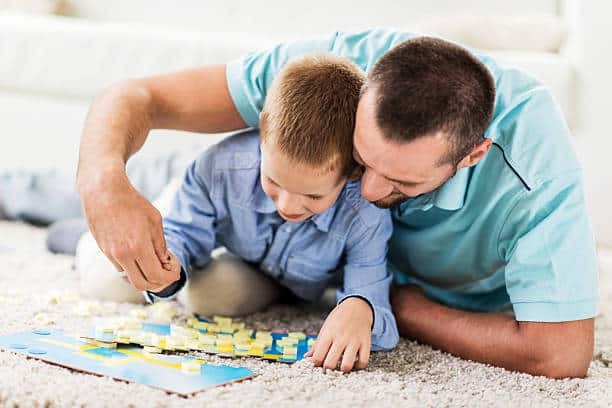 Redefine the game by having the kids read a sight word and apply it in a sentence, or read aloud and spell it prior to writing an X or O on the board. You can also use flashcards. Let the children write down on the board the words together with an X or O. Have a messy learning lesson by using some shaving cream. Let the kindergartners apply some shaving cream on their tables/desks and write out sight words using their fingers. The cleaning process is pretty easy. All you have to do is to wipe down the surfaces and clean with a spray. The shaving cream is like soap, so it actually cleans the surfaces. This is less messy compared to the shaving cream. Just fill a small container with salt or sand. Take some flashcards and have the children turn over the cards and write the words on the salt/sand in the box. Kinesthetic students are able to memorize the words as they feel the rough grains. Using tangible things to form words physically is a great way for the kinesthetic students to display the knowledge they have. You can use play dough or some flexible straws to create letters on flat surfaces. Play dough is great for stamping some letters to make high frequency words. Open writing in diaries or journals may seem a bit advanced for kindergarten kids, but these kids can actually write stuff. You'll be shocked at how much they write in the journals. For this activity, provide a couple of sight words and let the children create a story with several drawings. All of the above activities will help your kindergartners in memorizing their first sight words. Additionally, you can use Dolch sight word lists, online sight word games, fry sight word lists and free sight word maps to practice with the kids more in the classroom. As a parent who is helping your kids learn how to read, you need to spend some time in really teaching sight words so that your child truly masters them. To accomplish this you need to use accurate writing or spelling for memory. The child writes down the sight word when the model is blocked from view. Practicing at home is beneficial to memorizing what the kindergartners learned in school.